Ofir is a cloud evangelist and entrepreneur – a true cloud celeb, with an insider’s understanding into what marketing executives need: high-quality content. 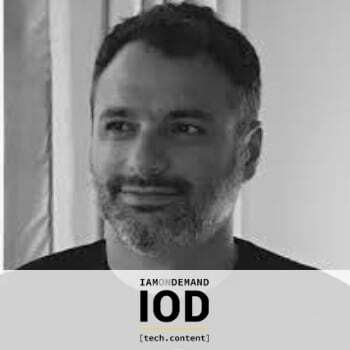 IOD (iamondemand) is a boutique content creation and research organization with deep, hands-on expertise in cloud computing, DevOps, cybersecurity, Enterprise IT, and mobile. IOD’s wealth of knowledge is thanks to a marketplace of savvy subject matter experts, skilled writers, and veteran editors that work together as agile teams to create [top.content] assets for our customers. IOD’s blogs, white papers, case studies, research, and survey reports deliver invaluable market visibility, and position our customers as influencers in their domains.